McNary’s run in the Division II state baseball tournament ended with two one-run losses. After falling to North Eugene 6-5 on Thursday, July 13, the Celtics again came up short in an 8-7 loss to South Medford on Friday, July 14 at Thurston High School in Eugene. 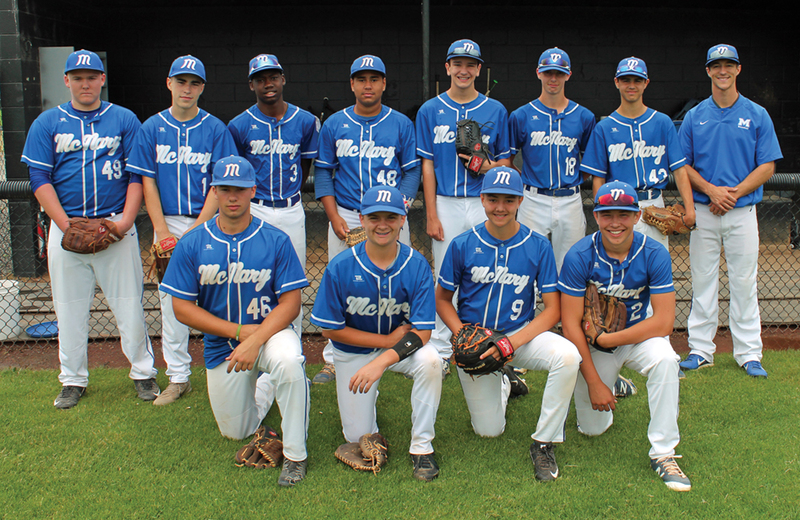 McNary’s team was made up of mostly rising sophomores and juniors who were on Keeker’s JV2 squad in the spring. The Celtics played 18 games during the summer, finishing 9-11 overall but 7-5 in league play. Sophomore Rennick Jeffries led McNary at the plate this summer, hitting .429 with nine RBIs and 12 runs scored. Junior Drew Bartlett hit .390 with 14 runs. Alex Simpson scored 20 runs and had 13 RBIs to go along with a .364 average. Andrew Brown hit .371 and added 14 runs and 12 RBIs. Nigel Harris scored 16 runs and had a .370 average. As a team, the Celtics hit .326. Rennick and Jameson Martin pitched most of the innings for McNary. Most importantly, Keeker saw mental growth from the club. “This group has definitely mentally matured as baseball players,” Keeker said. “It’s always fun to coach the freshmen and get an idea of what their mentality is and how they act, how they work.,” Keeker continued. McNary’s Division I squad went 9-4 and finished third in league play this summer. The Celtics are participating in a state tournament July 20-23 at Western Oregon University.